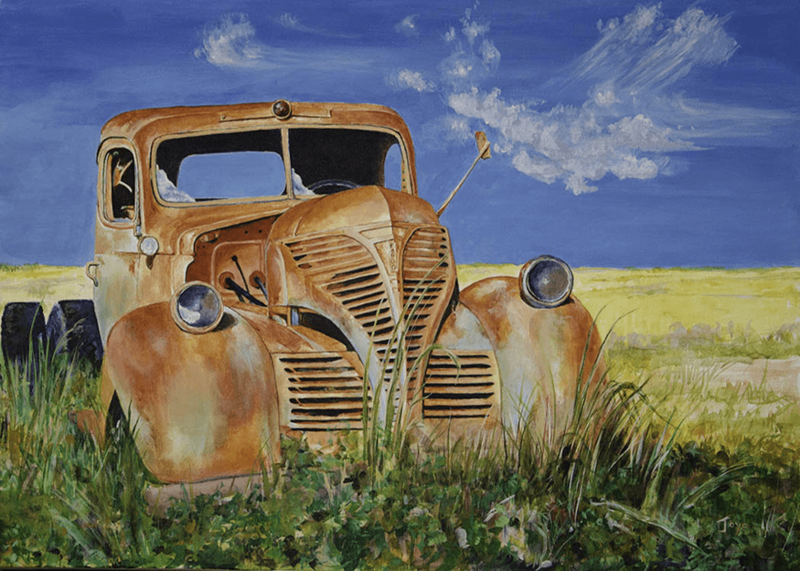 This beautiful Dodge Fargo truck (1936) has been cannibalized for parts and sits on the edge of the field, slowly sinking into the weeds. The patina of rust has replaced most of the paint with small areas of pale, faded blue remaining. This truck presents a muscular and rounded body with elaborate grille work. Even in decay, this vehicle appears robust and strong. The remaining rear view mirror reaches out to the sky, no past in sight, no future either.